NATO’s cross-block training exercises, Steadfast Pinnacle 2015, involving high-profile commanders has kicked off in the Latvian capital of Riga. The session will focus on the role of top brass at an operational level. The training, which also involves commanders from Sweden and Finland, who are not NATO members, started Sunday and will last for six days. Altogether, 48 top officers and 50 lecturers, administrative staff, planning analysts and observers are participating in Steadfast Pinnacle 2015 which is held at the Latvian National Academy of Defense. The aim of the trainings is to work on commander roles in the process of planning and running operations, according to the Latvian Ministry of Defense. 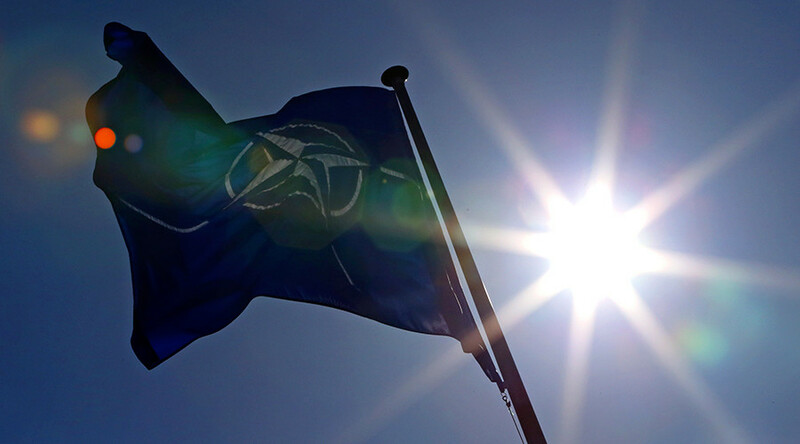 Ahead of the session, Sir Adrian Bradshaw, Deputy Supreme Allied Commander Europe assured that NATO is ready protect the Baltic region effectively, according to the Baltic states’ Delfi news portal. “Our armed forces are proportionate to the goals of collective defense and nothing else” he told Delfi, also pointing out the efficiency of asymmetric responses in conflicts. Sir Bradshaw, a British general, arrived in Latvia to participate in Steadfast Pinnacle 2015. Steadfast Pinnacle 2015 is the second part of NATO command exercises in Latvia, the first one – Steadfast Pyramid 2015 – ended on September 18. “These trainings are a symbol of effective and long-lasting cooperation between the NATO and Latvia,” Raimonds Bergmanis, Latvian minister of Defense, said as cited by Melkon.lv. Steadfast Pyramid and Steadfast Pinnacle were first held in Latvia in 2011. In late August-September NATO conducted the greatest airborne drills in Europe since the end of the Cold War. About 5,000 soldiers from 11 NATO member states participated in the "simultaneous multinational airborne operations".